The same night was the opening of the new shared offices of three startups: Codage, which makes customized cosmetics; UrbanLinker, a recruiting agency specialized in the Web and whose CEO Jonathan Azoulay came to the April CWC; and Green Republic.fr., a startup marketplace for bio and eco green products. Online shop The Vitrine had it's pop-up shop opening at Storie (20 rue delambre) on Thursday, October 27th. (http://www.storieblog.com/?p=486) The Vitrine presents selections of American-based artists and designers featured on the website but who have not shown their work in Paris before. The magic of Cocktails with Courtney is working in Paris as witnessed at the October 26th event at the Tuileries Bar. It was reported this night that two guests from September's event chatted, one gave the other a contact and now this contact is in talks financially advantageous for the other! I have to be a little vague because of the sensitive nature, and unlike most reporters I won't break confidential news until it's ready to be released. It's just who I am. You may notice in the U.S., putting an "i" in front of a word seems to "internet-ize" it. Well, here in France, the key words seem to be "Myeasy." I've written about Romain Lehz of Myeasypet.com and this month's Cocktails with Courtney welcomed Edouard Maitre and his partner Augustin de Beaurepaire of Myeasygolf.com. Myeasygolf.com aims to be the one-stop-shop for anyone planning a golf vacation. With links to courses, spas, hotels and restaurants, it is easy to plan a golf trip for yourself or with friends. If you're going solo, Myeasygolf.com helps you partner up with other golfers to play with for the trip. Edouard and Augustine were such nice, bright, young gentlemen with the classic French background it was a pleasure to meet them and chat about their business, the e-commerce aspect (selling American golf products to Europeans) and our new iPhone 4S's. Nina Andronikof told us about her developments with the International Freeride Film Festival that will take place in St Lary in the Pyrenees: http://www.festival-freeride.com/home-en.php. Sounds fun indeed! She and long-time friend Nathalie Ohana (OMGmother.com) were catching up just before we did a little musical chairs for guests to meet other people. Financial and insurance advisor Dominic Jerome came by after meeting me at the AMEX Soiree where I presented my business in June. He and Stanley Gehry (klgates.com/) enjoyed the conviviality typical of Cocktails with Courtney. Afterwards, Irene Toporkoff-Mayer (Worldcrunch.com), Nathalie Ohana and I went out for some delicious Japanese noodle soups at Higuma restaurant. Cocktails with Courtney, held on the 28th of September at the Tuileries bar in the Westin Hotel, was another intimate affair. Kigo.net's Shawn Convroy and I caught up since last meeting at the Harvard Angels France presentation and dinner in June. He and Emmanuel Cassimatis, who also attended the Harvard Angels June evening, had an opportunity to delve more into their businesses. Tim Eustis, an old college friend came by for a respite and chatted with antique professional Alain Cartier. Karine Maj popped over after just starting three days with her latest venture working in web development and brought along friend Susana Herrera-Masias, who's the Director of Business Development at Sofitel. Groupon's Eva Lane sparkled in her tales of Groupon, Google and Apple. Between sips of refreshing "boissons" and bites of some salty snacks everyone mingled amidst the lovely garden setting on the balmy September night. After calling Vistaprint and complaining, I finally head over to the Post Office to see if they perchance have these cards. They do. They are ALL WRONG. Each card is off center but just a little bit, but obvious enough to be disconcerting. We must call customer service, explain the problem and have each order redone. They arrive, two days after the day we needed them--for an event. Nearly nine months later I need to order one more set. I decide to go ahead with the dreaded Vistaprint (who's president is an alumni of the association I am doing the cards for) and take my chances. We upload the business card. It's exactly the same as the others (different name and email) and once again, the card is slightly off-center in the Proof. Our file is dead-center correct. We fudge our file so it's on-center for Vistaprint. (A risk, I know). Next. Payment time! We once again go through the five or seven screens of forced promotional items they are pushing on us. (Is this where they make their money?) First problem is we cannot find the screen where we can add our "store credit." We call customer service. It's back at the beginning somewhere. We find it. We go through the eight or nine forced screens before we get to the shopping cart. We see the order. The discount is not reflected. We are hesitant to push "Place the order" in fear of not getting this precious discount. We call customer service again. The agent walks us through all the same steps again. He assures us it's okay to push "Place the order" button. We do. It's placing the order but the discount wasn't credited! We get to the confirmation screen. We must click on "My orders" and then the most recent order to see, voila! the discount applied at the very last minute, behind closed doors, to the order. Very disconcerting. Not very user-friendly at all. Never again, Vistaprint. Mark my words, "never again!" What I did for my Summer Vacation. DAY SIX. Went swimming! Went swimming in the salt-water pool by the sea, which is kept at 30 degrees celcius. So warm! It was great. Did 40 laps. Then we did some shopping after Simon's nap and lunch and then I took Simon back to the pool. They have a large little pool for babies/children with two jacuzzi's in it (same temp as the rest of the pool, but jets of bubbles). There is also an area where the water goes in a current so you can swim with (or against) the current. No part of the pool is very deep. There's another part with a fountain that you can swim under. Really fantastic! But the clerk was a real JERK! (Oh well, what are ya gonna do?…There's always someone…) Simon loved it! What's interesting is that after about 1/2 hour exactly he got out of the pool, took me by the hand towards the exit and was ready to go! What I did for my Summer Vacation. DAY FIVE. Walked into town with the girls for them to get some candy and bought Simon a little yellow rainjacket. Walked through a little "Brocante" (flea market). The girls said their "g/bye's" and Simon took his nap. When he woke we went to the Croix's for some macaroons and water. Simon ran around their yard and Thierry tried to play ball with him. Came back home and Christiane was going to give Simon dinner while E took me to my horse-back riding "promenade." Simon was hysterical as he was being put in the chair. 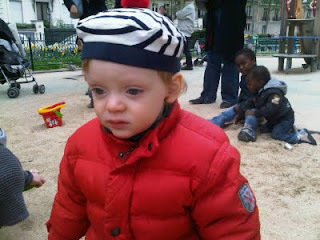 :(((((( Christiane kept trying to block him from me and saying "leave, leave, leave" (in French). I gave him a kiss anyways and we left. Went HORSE-BACK RIDING!!!! I was nervous, but I did good! :)))))) First I was going to ride "Galopin," which means "little devil" (as in "you little devil" when you say that to a child who's being cute but mischievous) but then because the other people who were going to go riding didn't show up, it was just me and the guide--so they put me on a different horse. This is a really different experience than in the United States! First, they told me to go find my own helmut (bombe) among the rack of helmets in the middle of the stalls. 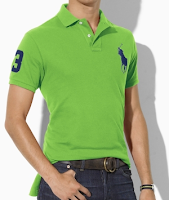 Then they told me to go get my horse and bring him into the menege (the rinding ring). What?!?!!!! So I went back and said, (in French), I'm supposed to go do this tout seule? I'm a little nervous to do that." So a girl got the horse out of the stall and then I lead Galopin from the stables into the menage. The girl helped me mount him. Then they told me there would be a horse change. So I just waited in the ring and they brought me Papyrus. So then I mounted Papyrus and we did one turn in the ring, to get comfortable and then off we were! (I would've liked a few more turns in the ring…but oh well). The only kind of saddle they have in France is an English saddle. The trail we took took us across two roads, down sandy paths, up through hills, between fields, around houses, over driveways, down muddy paths, into a forest, under a canopy of branches/trees, over a little stream, over a little one-person foot path, around in the forest, past a woman re-staining a wooden-beam fence, up and down and around a rocky, dirt, muddy path in the woods, around next to a field where Papyrus stopped to "neigh! neigh!" at some other horses in the field and of course, stopping a few times to grab leaves from trees to eat. This was nervewraking and I couldn't stop him from doing it. What was also VERY nervewraking was the guide's horse, which was a beautiful dappled dark grey horse named Nicolas, kept rearing up on his hind legs "because he doesn't like stones or rocks." What?! Geesh. I was so nervous my horse would end up doing the same. Thankfully he didn't. The guide had us trotting a lot more than I thought we would do. (Which was great, but which i also wasn't really ready for and which I need more lessons on b/c I could "post" but the stirrups were banging hard against the front of my ankle b/c my my feet kept slipping forward instead of staying with the heels down, as they should be. He also told me I should stand up when the horse is trying to go up some of the very steep hills, but he didn't tell me what to hang onto b/c if i held onto the reins I would end up pulling the horse backwards (or on his hind legs). So I did a combo of grabbing his mane and the saddle. He also didn't tell me what to do when going down hills, so I leaned back in the saddle and grabbed onto the back of the saddle. The other major difference (other than the guide not being talkative, not telling you pointers on what you should be doing, etc.) is that the trail is TREACHEROUS! I don't mean the train in itself is treacherous, but the way it is maintained. There are big, thick branches that stick out into the trail; there are branches that hang too low; there are branches that have been cut, but not short enough; there are branches that have not been cut at all. If you didn't pay attention to what was ahead of you at all times you could get seriously knocked in the throat, head or eye by a branch. These were not small, bendy branches. These were thick, stout branches. There were parts that are so muddy that the horses were slipping down the hill. There were parts that were so rocky the horses hooves tripped on the rocks or slipped on the boulders. Other than that, it was great! :)))) I want to go back and take lessons now. No more promenade…too scary, really. I prefer all the jaunts and stuff but to be on better terrain. What I did for my Summer Vacation. DAYS TWO, THREE AND FOUR. E inflated the pool. Simon's first day at the beach. He LOVES it. He wanted to bring his stroller and he went running on the sand with his stroller (with me helping him over the sand) directly into the water. He spent the afternoon (well, about 1/2 hour or so) running in and out of the water with the stroller, collecting seaweed and everything. Then he played in the sand (wet and dry) with E and the girls (and me). Brought back some sand for the blow-up pool. Went to the beach a 2nd time. So much warmer and we went earlier (2pm instead of 4pm). Much better! Brought back more sand for the blow-up pool. Rained all night. I tried to cover the sand the night before with a bucket, but it didn't do anything. Took the sand out and filled it with water when it stopped raining. Rained all day. Played poker with the girls. (They taught me how). The Croix's came over to visit for the apero so they got to see (meet?) Simon and visit with the girls (say g/b to them). Simon got a little heat-rash of sorts. Monday, August 1st we took a taxi to the Montparnasse Train Station. Went to the Columbus Cafe and asked for a decaf coffee and 2 croissants. "Pas de decaf." [WHAT?! This is a COFFEE BAR AND THERE IS NO DECAF?????!!! WTF!!!!????] Simon chose a toy at the "presse" and pushed his stroller around. We got on the train and were able to sit all four together (the three of us). Simon wanted to just walk up and down the cars with me. Then fell asleep for 1 1/2 hours. Five minutes before we arrived he found another little girl of 2 years old who had a teletubbie doll. She tried to give kisses with it but he was scared at first. Then the two of them were jumping on the seats together, holding on to them, facing the seats. Then he wanted the teletubbie doll and was upset when he couldn't get it. Simon has fun with his cousins. Did a little shopping at the Super U. (got him a little plastic blow-up pool, which we put sand in from the beach, then we filled the pool with water, which is what's in there now). Dinner: Crepes. Christiane makes crepes for everyone, which is really nice. But then when it's time for her to sit down Anne asks Lucie to leave the table. Just before this I was trying to say something and someone/everyone started talking over me. I made a "hey! I'm talkin' here" gesture/phrase and everyone just looked at me (or not) and said, "too bad, the Joubeaud way is whoever's loudest wins." -- I'm sorry but that is rude. Okay, sure, "it's a French way of talking." You know what? To me, it's just rude. And I guess that means the French are rude! Tired of constantly being pushed out of the way by customers after me in a line, I now have a new technique for how I pay for my goods at the grocery store. This works as well (sometimes) in the bakery. Before: I would pay for my groceries and then scramble to put them in the bags. This was not efficient because after I paid, the clerk would begin scanning the next customer's groceries and push them off the scanner. My groceries would then begin to be mixed up with the other customers. The other customer always (being French) would have begun packing their groceries on top of mine and thus reaching over me, standing too close to me, moving me and my groceries out of the way. Now: I let the cashier scan all my items and I begin (when I am ready) to put my groceries in my bags. I don't bring out my wallet until I've packed all my items. Then I bring out my wallet and pay. Now I get to pack my groceries with no rush (well, other than all the other customers huffing and puffing down the line) and pay without being frazzled. This post I cannot even believe is one I will be writing. And yet, Emmanuel tells me every year the police arrest people who leave their babies in cars while they go into nightclubs (sometimes even in Winter). :(((( This makes me so sad and so angry! However, I looked trying to find where the child was because there was no one else on the street. 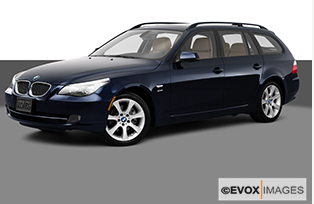 I noticed a navy blue BMW station wagon. Inside, on the back seat were two baby car seats. With two babies in them! One was looking out the window with his hand on his face as if to say, "Hmmm, my sister here is bawling her head off but I'll just look outside and try to ignore her." The other was crying hysterically. I looked in the window and she looked at me. I said, "Oh! It's okay...it's going to be okay. Mommy will be here soon." I looked in the car to see if I could assess anything else. It looked like the keys were inside on a console. Maybe she (the mother) locked the keys inside and is going to get help? That must be it. She must be somewhere getting help. By why didn't she just stay with the children so they didn't become afraid? Little girl still crying. Oh God what am I going to do?! I can't stand it. The solution is so simple! The parent keeps the children with them at all times and the babies aren't abandoned! Simple. Why couldn't this woman just do that?! Another minute passed with me trying to calm the baby down by talking to her. Am I making her more upset? "Who is this stranger in a brown hat cooing at me in a foreign language?!" (I was speaking English.) Then a man in a bright green Ralph Lauren "Big Pony" shirt, Mont Blanc wallet and car keys comes sauntering out of one of the clinics, heading towards the car. I could not believe it. This guy. This Jerk. Sauntering, ambling, strolling over to his car like NOTHING is inside, let alone two breathing live infants! I said, "is this your car? She's been crying." I didn't come out with anything more fluid because I was shocked by the whole situation. When I got home Emmanuel confirmed what I knew (and should have said): "NEVER LEAVE A CHLD IN THE CAR!" What pisses me off is this guy was so casual. So unconcerned. His wife will never know he did this. And if it happens often enough, he could be creating some real trauma for his children. Why do people have children to do things like that? It really makes me upset. I realize I like to complain about the French. It could mean I've become more French myself by doing this. (It is, after all one of their most popular pursuits.) 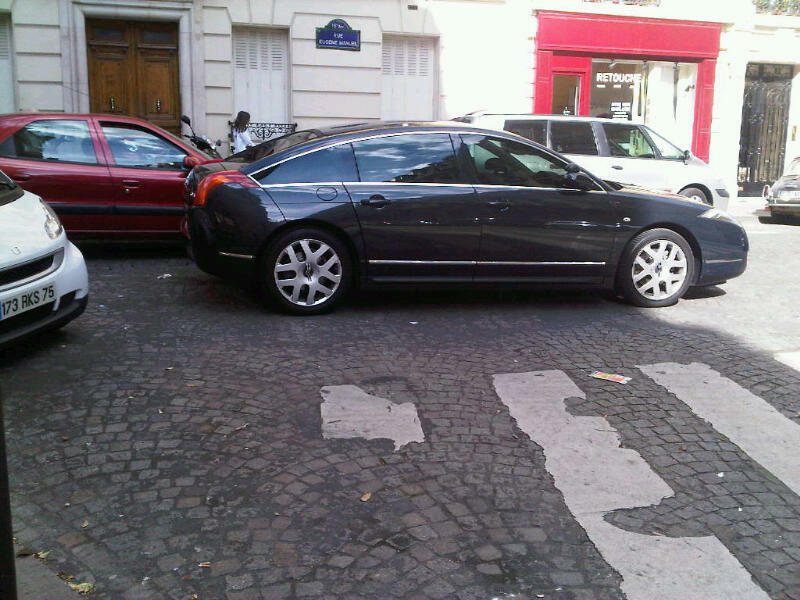 And I realize as I will now begin to complain about French drivers, that there are bad drivers EVERYWHERE. But I am in France. So I will complain about the French drivers--for today. So. First to bring up is that I have a strong prejudice against French drivers because one ran over my sweet little angel of a dog, Teddy. He was driving the wrong way down a one-way street. Teddy was on his leash, just about to jump up on the curb when this maniac turned the corner fast and didn't even stop till he parked a few meters down the road. He was going fast because he didn't want to get caught. We took him to justice and two years later I am still waiting for the settlement check, which will never replace my precious Teddy. Nothing will. Hence, my strong prejudice confirmed. French drivers speed down the streets, speed down one-way streets the wrong way (see above), don't slow down when you are crossing the crosswalk, drive too closely to you as they pass you in the crosswalk and don't seem to slow up or add extra caution if there is a baby in a stroller either. The black car is PARKED. The red car is driving past it on the street. The white car is parked on the corner. the time a woman drove too close to us with the baby in the stroller and Emmanuel hit her car with an umbrella. She didn't stop. June is a busy month in Paris. There are "end of the year" parties almost every week as people begin to prepare for the summer, which is serious business here in France. Many people leave Paris in July, and August is a literal ghost-town. (For proof, see my photo-essay on "Closed for the Summer.") Thus, the next Cocktails with Courtney will not be until September! Have a great summer everyone! On the first point I'd like to say this: Children are not adults. Children are not robots. As much as it's recommended they have a schedule (or routine), of which I am a big advocate, I cannot control if my son will sleep 1 1/2 hours, 2, 2 1/2, hours or even 3 hours for his nap. I am of the mind-set that if he needs the sleep, I will let him sleep. After said nap, sometimes he's a finicky eater. Sometimes he takes a long time to get started to eat. Am I supposed to wake my child up from his nap, not feed him lunch if he doesn't eat in the time alloted, not change his diaper and RACE down the street for 10 minutes, wait for a bus whose schedule I definitely do not have control over, and then run another 5 mintues just to get my son to the part-time day-care on time? There are certain large corporations that create a real community among their workers. And sometimes these corporations even have networks for former employees. Such is the case for American Express. Here in Paris, an enterprising Yann Emilian (now General Director France & Benelux for Affinion International) helped found the Club Amex, which brings together former Amex employees for monthly cocktails. Sometimes they have a presentation by a company or individual. This month, on July 7th, they asked lil' ol' me to present. It was quite an honor and quite an impressive turnout. Over 60 people came to catch up with former colleagues and friends and to savor good wine and hearty hors d'oeuvres. I met Dominic Jerome, who works in travel and insurance; InterContinental Hotels Group's Director of Development (France & North Africa) Brice Marguet who said he might have some nice hotels for my next soiree (great! ); and Oasys Consultant's Elodie Warnod. La Banque Postal's Director of Marketing, Card Offers and Daily Money (hmmm, interesting division) Béatrice Delanau brought several colleagues, including the friendly Rémi Desert. Starting around 7:30 PM, there was plenty of time for networking before Carrefour's Strategy Director Corinne Moulin introduced me and I gave my brief presentation (in French!) to these friendly and welcoming folks. There were a few questions and many smiles as I invited them all to the next Cocktails with Courtney. Considering Kevin teaches a course at Wharton on "Gamification," Kobojo's Karen Hunt and Youssef Faury, partner of CAPPTAIN.com, had a lot to chat about. Youssef's business helps web and mobile apps publishers and developers with acquisition, retention, monetization and offers real-time analytics applied to constant customer engagement and touchpoint. (whew!) I met him through his partner, Laurent Lathieyre, who's been to CWC in New York years ago. Youssef was in NYC from July 3 - 9th meeting companies for partnerships. MyEasyPet.com's Romain Lhez stopped by and brought along Florent Tardivel whose site (Mayoz.fr) allows amateur and professional photographers have their photographs voted on, then the winner's image is available for purchase, printed on beautiful hardwood. He brought a sample, which we felt would be a good addition to the existing artwork. This month's cocktail, as the previous three others, was hosted by Recursion Ventures, which creates secure solutions for the world's most critical systems. If you haven't noticed before, Recursion's team has long-time heavy hitters like Henry Bar-Levav, Bobby Mbom and Michael Tiffany. We all know a secure system is a valuable system, so if you want more value--give them a call! A long-time friend of mine, Victor Le Broussois, stopped by for a quick hello. Victor used to own a company called Stock on Web, but now is in charge of his family's business Country Corner and Interiors. If you crave gorgeous French Country style furniture, you must check them out. Victor also happens to be the initial reason why I am now living in France. It was thanks to him that I met my husband! Cocktails with Courtney always strives to be personal, and this month was very personal-nay--familial! My Parisian cousin Hillary Goidell stopped by (chic as ever and flawless in her French) and got to hang out with one of my Dallas cousin's who was in town visiting: Randy Pulitzer. Randy's family business prints all kinds of promotional products, including my Cocktails with Courtney napkins. As his business card says, "the fine art of sticking your logo on cool stuff," if you need quality products and excellent service, check them out: pulitzerpromos.com. Randy came with his Paris-based girlfriend, Karen Lowett who has one of the coolest jobs: a middle-school Science teacher at the American School in Paris. Fellow newish-parents (like me) Angela Peterson Newton and Andrew Newton stopped by for a respite from toddler-dom. 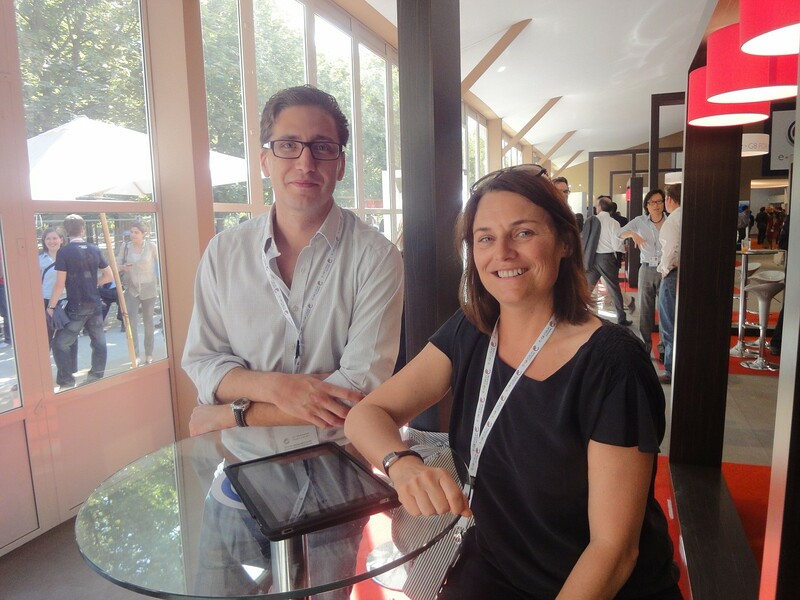 Angela and Andrew have been working on several projects around corporate responsibility, the impact of the financial crisis and raising a 2-year old daughter in Paris. Worldcrunch.com's Irene Toporkoff-Mayer stopped by for a drink, made new friends and reconnected with friends-of-friends. Worldcrunch offers English-language translations of articles from leading newspapers like Le Monde and Die Welt. It's recently gotten a write-up in the New York Times and is gaining momentum. OMGmother.com's founder Nathalie Ohana also popped by with Jean-Marc Larhantec to mix and mingle. Jean-Marc brought his own liquor--it's his own brand he's promoting: Hedonist. Ooh la la! Earlier in the month, on Thursday, June 23rd, Nathalie Ohana of OMGmother.com invited me to accompany her to a Harvard Business Angels event at the Restaurant Misia. This evening included cocktails and networking, short presentations, longer presentations, and then dinner. Among the quick presenters were Nathalie's OMGmother.com (of which I'm on her Board of Advisors) and Worldcrunch.com. The longer presentations, which included financials were: Yoopies.fr which offers various services to parents; Kigo.net offers complete web solutions for companies (and individuals) in the vacation rental business. Distribution of digital books for children was the service offered and presented by Paul Van Den Bossche, who has 5 children so he knows a thing-or-two about kids and books. For the finale, we each got to inspect a gorgeous handmade leather handbag, created by Ragazze Ornamentali. Over dinner I had a good trip down memory lane with Julien Ulrich, who was in NYC during the big boom with his former company Upoc and is now the Digital Marketing Consultant at Juan. I'm not too sure how many actual Angels were at this dinner, but all the entrepreneurs had a good time meeting each other and comparing notes. Imagine the scene: it's rush hour in New York City. Fifth Avenue (or Sixth Avenue if you like). You're between 34th and 42nd Streets and the sidewalks are separated from the street by Police barriers. You've called for a cab (you have to because there are none available). He can't stop because there are police everywhere and there's no where to stop. This was my circumstance as I headed out of the e-G8 conference towards my "Cocktails with Courtney" event on Wednesday, May 25th, evening. My cab found me though, and after traversing the City of Light we ambled our way up the hill towards the Pantheon. Just below was the little Corsican epicerie (grocery store) that specializes in wines, cheeses and charcuterie from Corsica. The owners also own a trendy cafe around the corner; this one (A Loghja) is opened just when they want or for their friends. Thankfully, one of their friends is a friend of mine--Ms. Nathalie Ohana of OMGmother.com. Sponsored again by Recursion Ventures, we settled in some chairs on the cafe sidewalk, sipped our refreshments and nibbled on some delicious cured hams and cheeses while the other guests arrived. First up was Romain Lhez of MyEastPet.com. Next was Alain Cartier and his friend from Stockholm. Alain was introduced to me via Elizabet Swenson, a long-time friend of CWC. Sarah Besnard of Western Union came after hearing about the event from the Club Amex and Karen Lovitt of the American School came after hearing about it from one of my Dallas cousins! Small world. And it all comes together face-to-face in a simple cocktail party. Some things never change. Stay tuned for next month's CWC where we'll be featuring * exciting * guest * Kevin Werbach! The second day, May 25th, the e-G8 seemed to have lost much momentum. I headed back in the afternoon to catch Facebook founder Mark Zuckerberg's "conversation" with Publicis's Maurice Levy. It wasn't so much a conversation as a halting question and answer session. Poor little Zuckerberg was baffled a few times by Levy's attempts at banter and his thick French accent left several questions and comments falling flat. Zuckerberg was bravely sweating it out, literally, though. Poor guy was just in a t-shirt and jeans but kept sipping his Gatorade the entire grueling 90 minutes. Wait a minute! Poor guy--he's got millions--never-mind! He can sweat it out for a few minutes. Which he did, while we hung breathlessly on every word. * "The best thing about the Internet is it gives everyone a voice." * "The basis of being grounded in reality makes Facebook Facebook." * "The Internet is competitive and the users make The Best win." * Zuckerberg thinks there are only 1 or 2 things that companies can do well. He gave Gaming companies as an example. Doesn't think companies should try to be all things to all people. Focus on what you do best and just do that. * "Social design" - a principal for designing something - is something Zuckerberg takes seriously for Facebook. He "bakes" this concept into all apps going forward. An example was the Friend Request. Initially you had to respond "yes" or "no" to a Friend Request. Through his studies of psychology he knew it made people uncomfortable and that there were real-world consequences for a denial. Changing the "yes/no" to "accept/not now" made it easier for people to politely decline a friend request. * Advice for entrepreneurs: "Believe in what you're doing." The first question from the audience came from a Frenchman asking a typically French-styled question, which baffled Zuckerberg, even after Levy tried to translate it. It was about the "transparency" of Facebook and could you trust people's sincerity. After several attempts at understanding this question, once even eliciting a huge laugh from the audience Zuckerberg was even more determined to understand it and answer it. He finally was able to frame it, and responded with, "one of the things I've noticed as the company is being built up is how similar people are and not how different they are." He said they are "really gearing up for mobile development and have some exciting things coming out." "Most of the world will be accessing the web via Mobile and not computers." Zuckerberg really kept downplaying Facebook's influence over the Jasmine Revolution. In a final comment, he summed up it all with, "[he] really cares about people being sure they can share their lives with each other." I guess that really does say it all of what the Internet can do for us. The big hype was over and the final "recap" panel had no less than 11 people on it! I stepped out for some air, and to meet some new people before there was total dispersion. Chatting with Qwerly's Max Niederhofer was Linkedin's EMEA Marketing Director Laurence Bret. I also met Advocate-Hypermedia.com's Stanislas De Livonniere and Whoog's founder Geurric Faure who described (in French) his company's service utilizing mobile phones for emergency communications. Back over by the water/juice/soda bar I met Vincent Barbey, Adminium's Director General, who also was celebrating his birthday this day. Adminium's stores all your appliance and utility invoices online. Its real use comes into play when you're at Darty (http://www.darty.com/) (or BestBuy for example) and you have a broken stereo tuner but not your receipt. No problem, log into your Adminium account, find the doc, and have it emailed or faxed to the store from your online account. Pretty nifty, huh? On my way out I met New York-based ScrollMotion founder Josh Koppel and Scoop.it! 's CEO Guillaume Decugis who described this service as a publishing platform between Blogger and Twitter, helping people find content, and thus users, by locating pertinent items for your site. Locating content for my site wasn't a problem this week. Thanks e-G8! Immediately after the opening speeches on Tuesday, May 24th, I ran smack dab into John Perry Barlow and Juliette Powell. They were bubbly and while cynical about Sarkozy's speech, I think we all had Hope for what the rest of the conference could bring. Shortly after, I ran into the famous Colette Ballou (Ballou PR) who graciously let me stand with her and watch the parade of fans come by to connect with this ultimate connector. She introduced me to Vincent Picou of SquareClock who explained his 3D realtime platform for personal and professional uses and Victoria Ransom, Wildfire Founder and CEO who's grown her business from 7 to 110 people in record time. Some gents gathered round our table for lunch were Ari Wegter of Mogul Associates, Andrew Scott of Urban Horizon, Frank Kelcz, VC/entrepreneur, Richard Titus of Octavian Ventures in the UK and Sokaratis Papfloraratos whose company TrustedPlaces just got acquired. I met Toussaint Roze of Notrefamille.com (which has now grown to 70 people) and has the enviable domain name of genealogie.com (take that geneology.com!) TechHub's Co-founder and CEO Elizabeth Varley was friendly while TechCrunch's Mike Butcher was busy looking at his phone the whole time we chatted. Other folks spotted in our Internet Celebrity Bingo game were: LeWeb's Geraldine & Loïc Le Meur (who had their own group of fans), Personal Democracy Forum's Andrew Rasiej and the legendary Esther Dyson of EDventure. Gathered in their own little cluster were Ann Winblad (Hummer Winblad), Timothy Draper (Draper Fisher Juvertson) and the other money-holders. Gilles Babinet who is the president of the Conseil Nationale Numerique, a new council (created by Sarkozy on April 27, 2011) to advise the government on digital subjects. This group does not have much support from the press and it seems it isn't destined to be an effective representation of actual digital enterprises and their needs. Paddy Cogrove, a spritely modest wunderkin has created his buzz by creating a forum for just 150 founders of the companies like Skype, YouTube, Twitter, Wordpress and other leading influencers: F.ounders based in Dublin. I can't compete with instant twitterers and bloggers, but I do have the scoop that others don't present. I find my position, of living here in France after having run a successful enterprise in the States, offers a unique perspective. For instance, while many reviews of the e-G8 were negative, I found it extremely useful. I suppose in large part this is because for me this was an over-the-top reunion where I got to see old friends from New York and San Francisco and meet new ones from Paris. 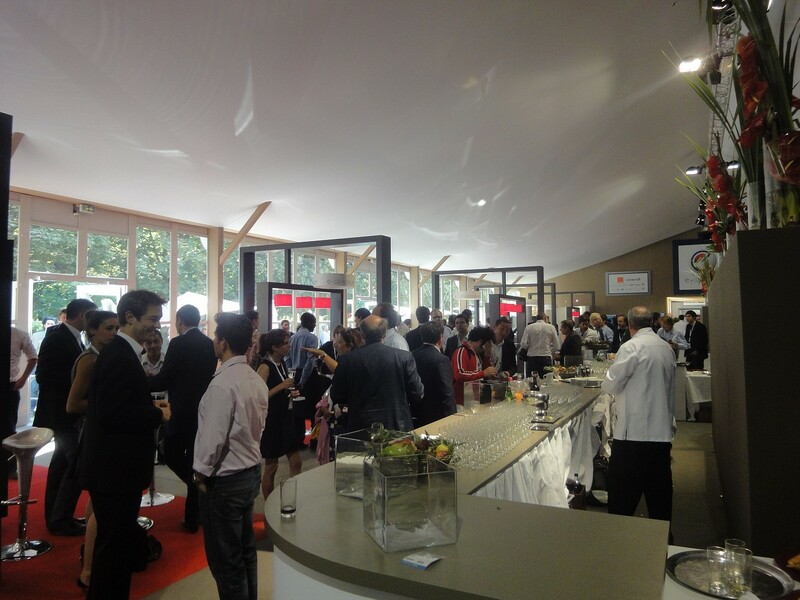 It was an the impressive setup (massive fully-furnished, wired and outfitted tents) in the Tuileries Garden. The an entire section of the sidewalk on rue de Rivoli was blocked off just for e-G8 participants. (Imagine blocking the West side of 5th Avenue's sidewalk from 34th Street to 42nd Street.) Then there was the fact that, according to Philippe Le Corre, Publicis Consultants Partner, who lead the organization of the conference, just 3 days before there was nothing--well, nothing save a gorgeous, historic garden created by a famed landscape architect (Le Notre). The first morning, Tuesday, May 24th, there was a steady flow of reporters, press agents, CEO handlers and catering staff running to and fro. Eventually, everyone settled into the grand hall for Publicis Groupe Chairman & CEO and e-G8 Chairman Maurice Levy's welcoming remarks. 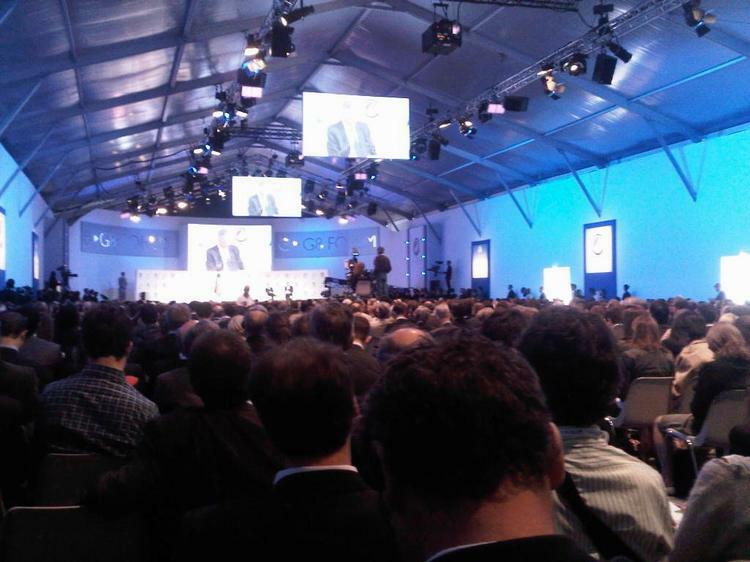 Both Levy and Sarkozy spoke in French, which would seem to exclude a large number of attendees. However, French law dictates that for all official public speeches, French representatives must speak in French. Such is the love and respect for their language. Comments about Sarkozy's speech ranged from "passionnante" (the French woman sitting next to me) to "pure rhetoric" (most everyone else). Some commented it seemed like they were hosting this conference so they can understand the Internet, so they can dominate and control it. 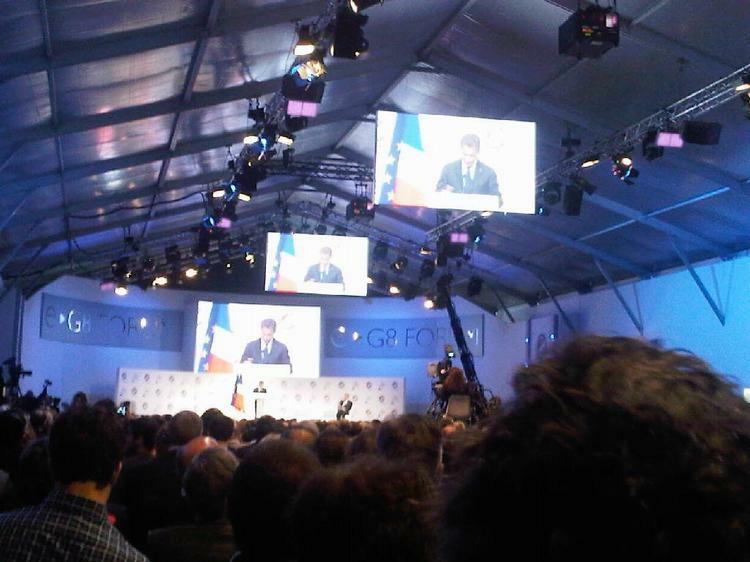 I thought Sarko's speech was great. What kind of a statesman would a statesman be if he didn't lead off a conference that he created as his own personal marketing vehicle to demonstrate his interest and knowledge on a subject, days before another massive power mash-up, if he didn't have a speech full of passionate ideals? * You've changed the world. * Something unique in History--this total revolution is immediate and irreparably global. * Something unique in History--this revolution isn't attached to a person; there is not a flag or slogan; it is for the common good. * Something unique in History--this revolution was made without violence. * The discovery of the New World had lead to the annihilation of the American Indians. * The world revolution that you have embodied, it is peaceful. It was not born on the fields of battle but on the university campuses. He went on to talk about how this revolution has played a determinate role in other revolutions--from Tunisia to Egypt. Sarkozy continued with passion. Perhaps it was a speech related to a world in his own mind, or one that he's afraid of and wants to ultimately learn how to control, but either way--it was great entertainment. Questions ranged from the Jasmine Revolution, Arab Spring, "internauts" (someone who knows how to use the internet) in Iran and privacy issues. My favorite was the (now famous) final comment from Jeff Jarvis of the City University of New York: "some say the Internet is the 8th continent; this discussion is wonderful; but I would like to ask the Government to take a Hippocratic Oath: 'Do No Harm!'" to which there was resounding applause by those who understood him. It was a classic temperate Spring evening on Wednesday, April 25th for the “Cocktails with Courtney” ~ Paris debut. And, classically for this part of the world, the sun was still out when people began arriving at the Flute Bar and Lounge near the Arch de Triompe. As I prepared the room and ordered some pink champagne for guests, several had already arrived: Erzsi Deak, a writer, literary scout & editorial consultant whom I met through Josh Freeman (Director of Interactive Services at Columbia University) and her friends author & illustrator Jeanne de Sainte Marie and Sarah Towle (Time Traveler Tours). Upstairs in the open lounge (with a large space for the chandelier) was Rozenn Milin who is the director of Sorosoro, an affiliate of the Chirac Foundation, which works to preserve disappearing languages by filming and recording remaining speakers around the world and her friend Aline Rutily. 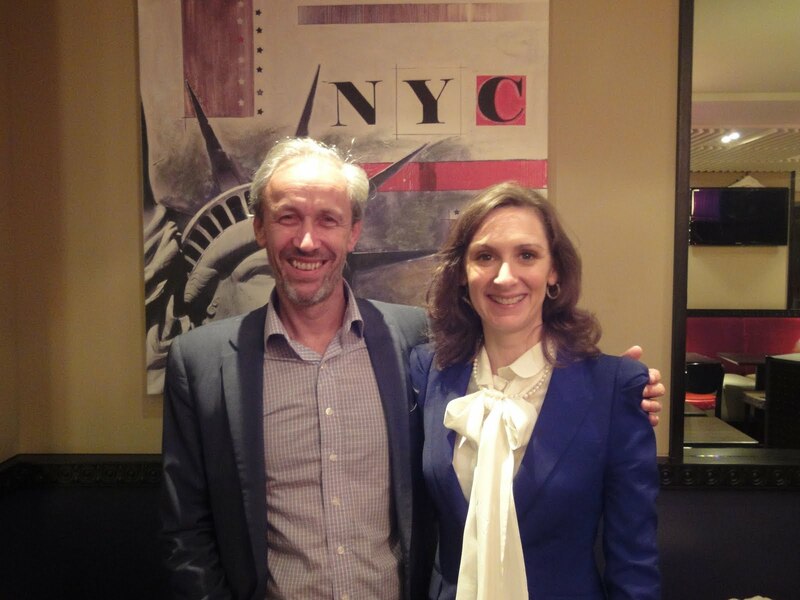 Next to arrive was the dashing Francois Mouclier (Canal-Luxe.org VP) and his lovely wife Catherine Le Yaouanc who is the GM of the Franco-British Chamber of Commerce & Industry. Francois has a history of being in the fashion world—his father is Jacques Mouclier who was President of Chambre Syndical D'Haute Couture. Catherine is apparently the only woman head of a Chamber of Commerce at this level making this power couple gracious and engaging as we began introducing ourselves. My cousin (and photographer) Hillary Goidell popped in looking as lithe as ever (she also had a baby shortly after I did) and we spoke with attorney Stanley Gehy (who also has a recycling business in Haiti) about children’s bi-lingual language acquisition. The dynamic Nathalie Ohana (OMGmother.com) arrived with a great gaggle of good-looking geeks—all entrepreneurs who are working in the web and developing cool sites. These were: Margaux Derhy (La Petit Etoile.net) who writes business plans and business development for companies and Hélène Duthilleul and Karine Sabolovic (MadamePopandKids.com) which transforms your child’s drawings into real art (on a canvas, a pillow and more! Nathalie facilitated many introductions, easy for her as her whole business is about creating a network—that is a trusted network of friends for your child. These trusted friends become OMGparents...so your child can have more than just one set of God-parents. They can have “OMGParents” for all those “oh my God” moments in your child’s life! Then the dudes arrived with their classic French casual charm-- Raphael Vannier and Ygal Sananes of (seventyone-percent.com) who’ve created a line of super slick sunscreen for surfers after seeing a gap in the market for this demographic. Emmanuel Cassimatis could be considered a “vrai” serial entrepreneur already—he’s founded Goodwizz, a global social meeting network that helps people go beyond that first contact and previously co-founded an energy company, EGG-energy and founded an NGO Paper for All. And Mr. Urban Linker himself, that's Jonathan Azoulay, stopped by--he's the one to know if you want to recruit someone in Information Technology. I had a chance to chat with Philip Yook, a lawyer who’s spending some time traveling and enjoying what life has to offer around the world and Karen Hunt, who just started with Kobojo which creates social games for Facebook or iPhone (and just raised $7.7 million). Flutes of pink champagne were sipped, tea sandwiches were nibbled on as this nice mix of young entrepreneurs, artists and business-minded creators had a chance to meet each other in this first intimate, convivial and special “Cocktails with Courtney.” Sponsored by Recursion Ventures, which develops solutions for the world’s most critical systems, making them more secure and valuable as a result, I can say the buzz from this first event will build. I can feel it. And this month (May 25th) we’re smack dab in the middle of the eG8 forum. Stay tuned for some titillating exposure of the Parisian Cyber Scene! My baby boy - he loves colorful socks and he chose this hat to wear today. He's a stylish one! It was in the high 70s over the weekend but now it's apparently going down to the 20s for the rest of the week. 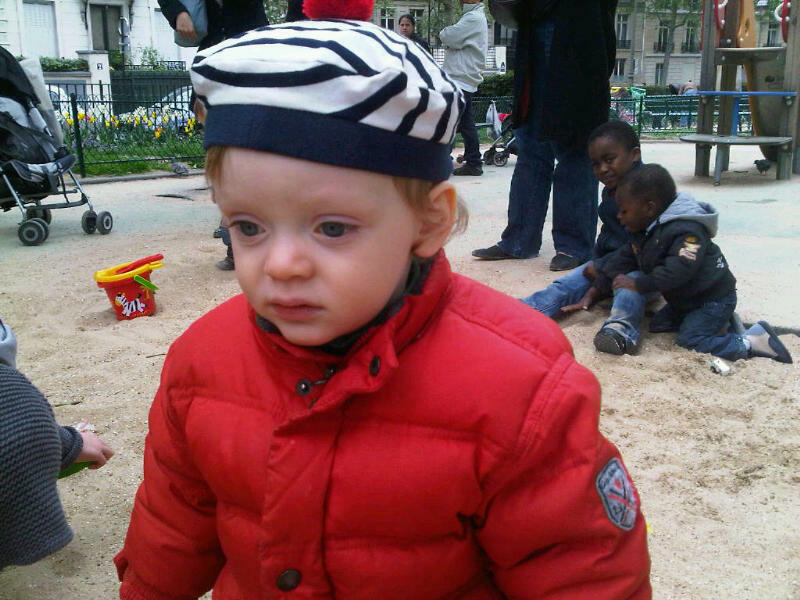 A Spring in Paris! Meanwhile, I'm hearing how the startup technology scene is exploding in New York City. And at the same time I'm seeing how much is bubbling up here in Paris as well. Events and recaps coming soon! Today in church the sermon was about the man born blind to whom Jesus gave sight. It was after Jesus rubbed mud in his eyes and then told him to go was in a special sea. (see?) Throughout the sermon, I kept hearing the song "I Saw The Light" by my favorite singer, Hank Williams. Amen! Standing in line at the Monoprix. The price is 6.80. I put down a 10 euro bill and begin counting out my .80 centimes. This isn't what the cashier wants, however, and takes my ten, gives me change and refuses my .80 centimes. &*(^%$! What the heck. I can't begin to explain how upsetting it is to deal with. If you want to give a cashier change, start with the coins and THEN put the bill down. I've done it in the past. Should've learned from my lesson. Don't ask when you're getting paid. Apparently if you are an Independent worker, and after you have presented your bill to your employer, it is not appropriate French behavior (another "code") to ask when you could expect to be paid. You must just wait until they decide they will pay you. It could be a day, a week, or two weeks. And if no money shows up? I guess you have to wait until you can meet with them again to politely inquire. * This is how it's working with my husband's employer anyway. Perhaps it isn't like this with every company. But this has been my experience with them. This is very frustrating and makes it pretty difficult to budget, plan and allot expenses. It is horrifying to watch the repercussions unfold and I wish to express my deepest sympathies to the victims and their families of the earthquake and Tsunami in Japan. I hope that the relief efforts are swift and life can resume there as quickly as possible. I encourage you to join me in making a donation (to the International Red Cross) in sympathy and solidarity with them. Today I not only noticed some buds on the flowering trees, but I could smell their fragrance as well. It gave me that "Spring is coming" sense of Hope that only fragrant trees, a temperate breeze and some blue sky can. It was a welcome relief after a rough winter with a sick baby (since November with one virus after another) and my own sinus infection...not to mention no time out of Paris for vacation. We haven't left since...hmmm...summer. Gasp! No wonder I'm grumpy. I also, in a burst of renewed enthusiasm after meeting Nathalie Ohana - the original OMGmother, I am considering starting up the famous "Cocktails with Courtney" series once again. Why not, I say? Why not, indeed? !